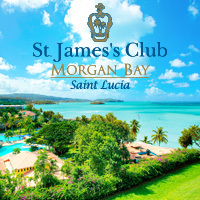 If you love water activities, St. James's Club Morgan Bay is definitely the choice! The resort offers complimentary water sports such as windsurfing, water skiing, sailing, aqua cycling, kayaking, snorkeling, banana boating, and yes even motorized water sports! Accommodation include traditional hotel rooms, one-bedroom suites, along with interconnecting family suites. All accommodations include comforts such as air-conditioning, private terrace or balcony, private bath, cable television, telephone, coffee/tea maker, hair dryer, in-room safe, and more. Complimentary wi-fi is available in the resort’s lobby and the Sunset Bar & Lounge. All rooms are Non-Smoking, however smoking is permitted on the outdoor terraces and balconies. Dine at four distinct restaurants, each serving up a delicious mix of Caribbean dishes and international favorites. All meals (breakfast, lunch, dinner and snacks) and unlimited beverages by the glass (water, juice, milk, soft drinks, wine, beer, liquor, and cocktails) at four distinct restaurants are included - except Le Jardin (which requires a $25.00 supplement fee per person per reservation). The property is in an ideal location - just minutes from world-class Rodney Bay Marina, Cap Estate Golf Course, and capital city of Castries.